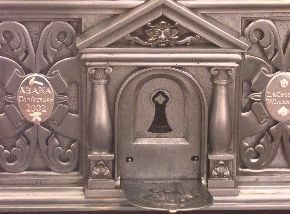 Locks, Keys, Locksmithing and Antique locks. This site is for locksmiths and craftspeople that are interested in hand crafting locks and keys or information about antique locks. Hand made locks are an art form as well as practical devices. We welcome articles from amature and professional locksmiths. 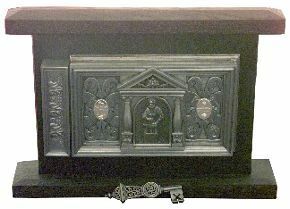 Do you know anything about this chest? Can you help identify this lock? 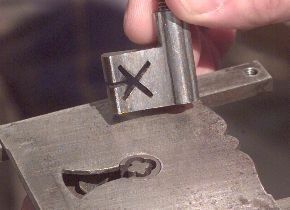 Bit Key Blank Making With sources of old style blanks dwindling the methods of making keys from scratch becomes more important. Lock Picking For Lock Makers Includes a detailed description of the operation of the famous Chubb Detector Lock. This is not a lockpicking manual. Locks from Iran The Parviz Tanavoli collection. Book review with example diagrams of old padlock mechanisms. The Spruce Forge Manual of Locksmithing Written by Bill Morrison & Denis Frechette. 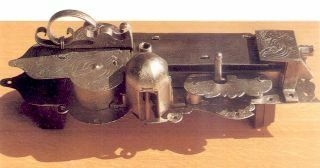 Manual of simple lock mechanisms.